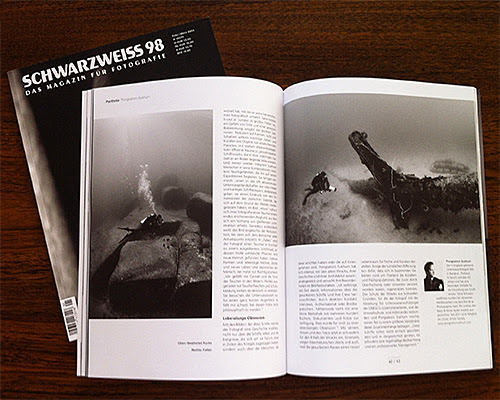 A selection of my Subscape images and article appear in the German fine-art photographic magazine SCHWARZWEISS 98 (Feb/Mar). With thanks to editor Patrick Brakowsky, Tecklenborg Verlag. I´ve seen your pictures in the mag and I really love the calm atmosphere of those shots! Great photos, congratulations.